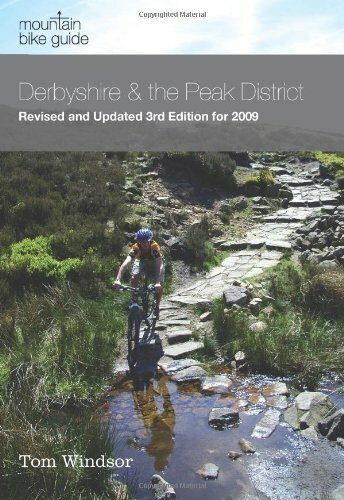 From the original Mountain Bike Publisher, here comes a third and revised edition of the ever-popular "Mountain Bike Guide to Derbyshire & the Peak District" by local author Tom Windsor. This guide (as all future Ernest Press Guides will) features excellent design work from Graphic Designer Dean Taylor of "The Ride Journal". Dean's brief was to create a modern, easy to use and clean, uncluttered format which updates the Ernest Press guides enjoyed by riders over the past 20 years. With 29 routes covering the Dark and White Peaks, the revised "Derbyshire & the Peak District Guide" retains and updates iconic routes first introduced in 1991. A 'quickie' section has been added, consisting of five shorter routes - for when time is pressing. These complement the additional five full routes in this third and fully revised edition. Clear, attractive and accurate cartography and evocative photography assist the reader on their ride around some of the best UK Mountain Biking. The revised guide provides a wealth of information on bicycle choice and maintenance, the local bridleways, sources of local tourist information and ecological travel, where possible. This is the original mountain bike guide to this area, now in its third and revised edition. It is still the cheapest on the market. With 29 routes covering the Dark and White Peaks of Derbyshire and the Peak District, this mountain bike guide provides information on bicycle choice and maintenance, the local bridleways, sources of local tourist information and ecological travel, where possible.